CK Worldwide introduced the wedge collet nearly 20 years ago, and its performance is still unparalleled. A single wedge collet can last 10x longer than the slotted versions. “Wedgers” also swear they produce better quality welds. But How? 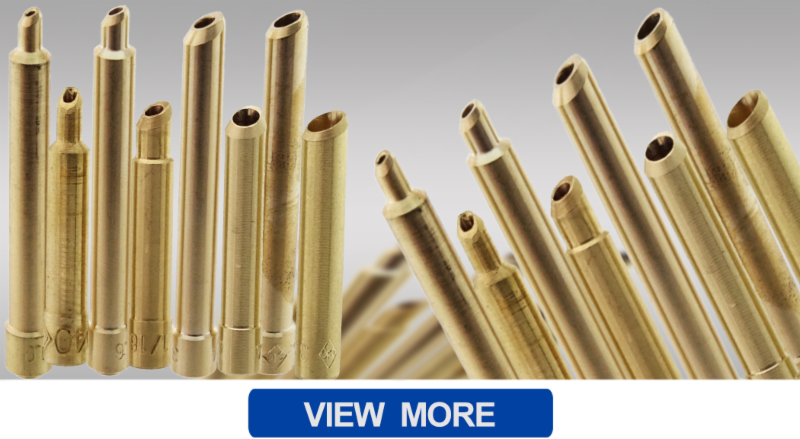 Because there are no slots cut into the collet, it isn’t prone to weakening or deformation. The precision wedge cut at the head creates better gripping action of the electrode. By wedging the tungsten directly against the collet body, the contact area between the electrode and the other conductive components is greater and resistance is lower. Bottom line, the design creates better arc transfer, smoother arc starting & greater heat dissipation. Available in five different diameters, the wedge collet will fit a variety of 2 & 3 Series TIG torches. We’ve even got them built into our Monster Kits ! 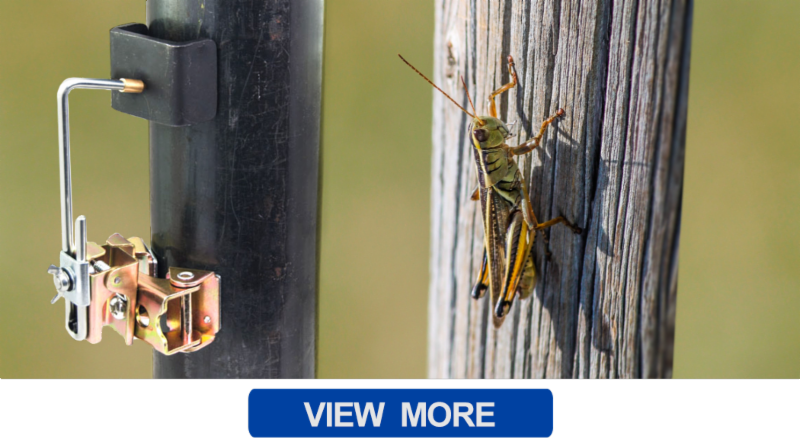 With the Magnetic Grasshopper, you can hold, position and steady parts on square, round or angled material! The spring-loaded arm self-adjusts for consistent work holding. And the magnetic base swivels 360° allowing it to securely stay in place, even vertically. 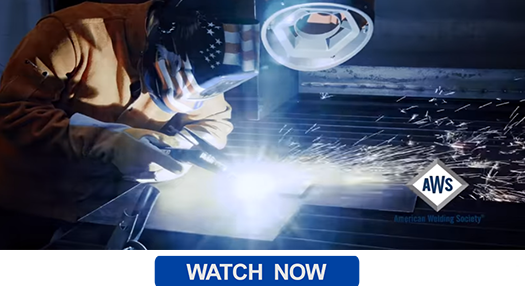 Forget about practicing patience, isn’t it time you HOPPED on this amazing tool and upped your Kung Fu welding skilz? Is your tungsten helping your welds reach for the sky? @Arc_Zone, we can’t say enuf about the Sky Blue ArcTime Tungsten. Not only is it The O.G. Hybrid on the market, it’s the energizer electrode that keeps on delivering stable arc starts, low burn off rate & tip longevity, without the need to change out tungsten as you go from steel to aluminum & back. We’ve even got a sampler pack – Test ArcTime in different diameters to see what you use the most. 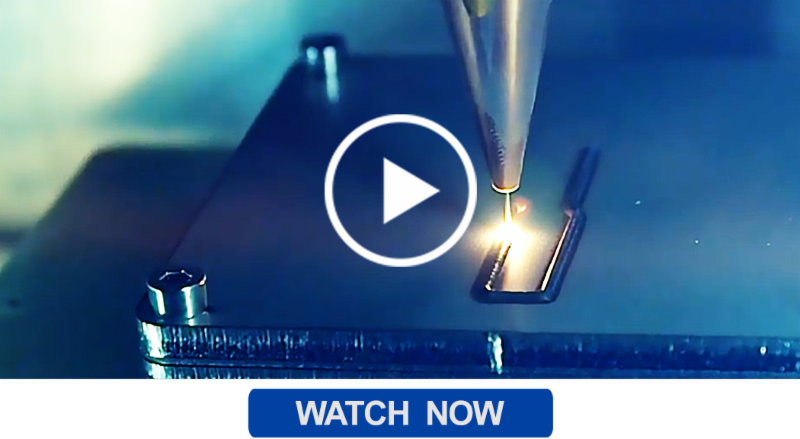 Get yours today and enjoy watching your weld quality skyrocket! At just 22-years-old, Hannah Sherk is already an accomplished welder, fabricator, metal artist, and painter. When she was 8-years-old, she began welding with her dad. 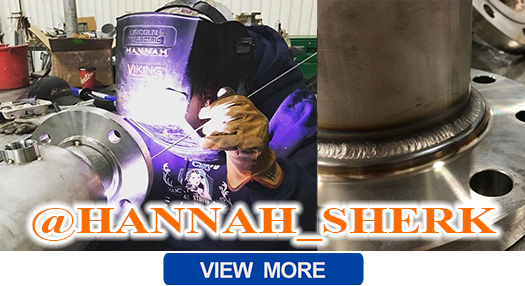 And by the age of 16, Hannah started a full-time welding gig. With her kind and bubbly personality, you’d never believe that just 3 years ago she was diagnosed with Burkitt’s Lymphoma, a type of cancer in the lymphatic system that impairs the immune system. 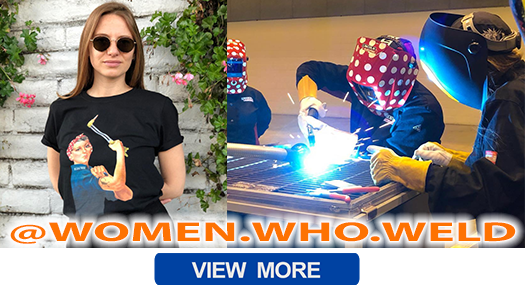 She says, “Welding has always been my passion, and not being able to work in the shop because of my illness was honestly really hard for me. I kept a positive mindset through it all because I knew I’d be back out welding again eventually. I knew it was just a little bump in the road and would only make me stronger in the long run.” We are thrilled to report… On February 15, Hannah announced she is cancer-free and continues to live her best life! Michael Hayes, a 32-year-old war veteran and welding student, spent over 100 hours and two months building a replica of the Game of Thrones’ throne for his bride, which included at least 400 individual aluminum swords. The couple, who bonded over their love of the show, have since gone viral, even appearing in People Magazine. What was intended to be a gesture of love, has turned into a heartfelt nationwide phenomenon! Check-out their interview and search them out online – we promise you’ll be touched & impressed. All brides should be so adored!!! *Fun Fact: Arnold Schwarzenegger sat on their throne last month! For 16 years, the Totally Trades conference has taught high school and eighth-grade, female students that with the right tools and training, they are capable of landing a high-paying job in a male-dominated industry. The goal of the conference is to expose the girls to non-traditional career options such as plumbing and heating, forestry, construction, heavy equipment operation, computer programming, wind power, and welding. Not only do they receive hands-on training but they learn to work with one another and empower each other. The Totally Trades conference is a great program that provides a supportive environment for young women trying to break boundaries and expand their horizons. Preserving the skilled-trades industry and providing the right tools for the job have been a hot topic in the media lately and finally, someone has stepped up to help the cause. California Assemblywoman, Sharon Quirk-Silva granted a $1million budget to the Fullerton College welding department, saying, “The funds are a critical investment in the future workforce and economy.” The welding department plans on upgrading their machines, bringing in new equipment and subscribing to educational material from the American Welding Society. They’re even developing a mobile outreach program to perform demonstrations for prospective welding students. 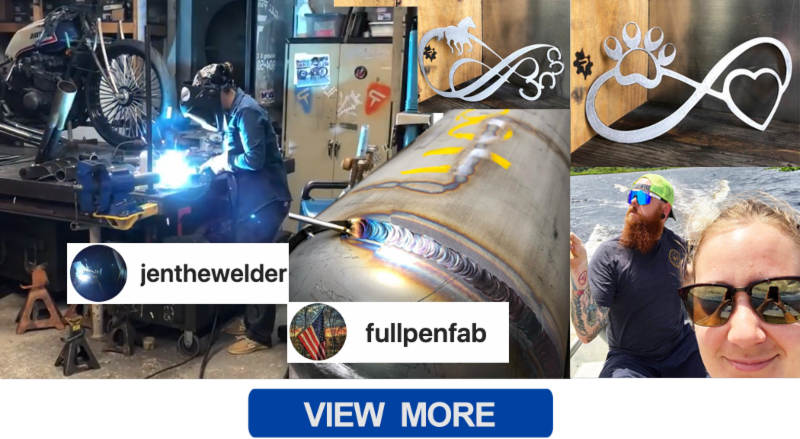 Using their funds to share the skilled-trades with others is why the Fullerton College welding department is very much deserving of the massive budget! For a small business, like ours, arriving at our #20Year anniversary, is call for a celebration. Mostly, we’re celebrating by offering you top notch technical service, quality products, innovative solutions to make your welding life better. So give us a call, place an order, tag us on social media, or shoot us an email. We’d love to hear from you! This entry was posted in Uncategorized on April 25, 2019 by Editor. April 2019: Tools that make ya wanna “cheat”, the perfect position, an awe-inspiring woman & our Society turns 100! The ArcSaber tungsten storage container is now better than ever. 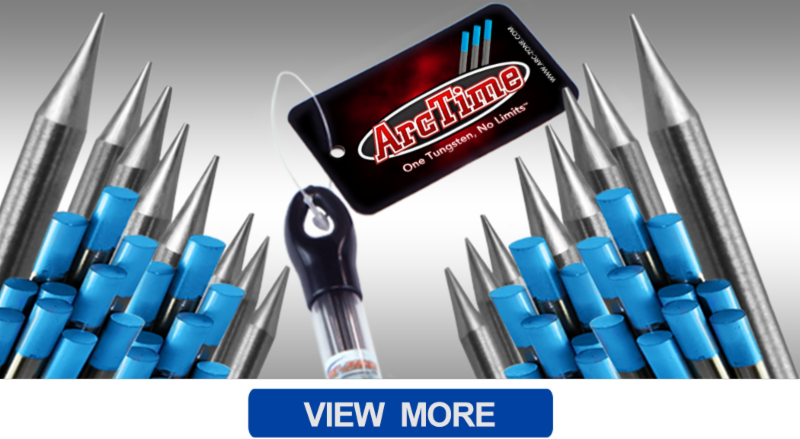 We have, not one, but four different colors to choose from to keep your tungsten well organized. We also offer a Stubby version for your short or cut-to-length pieces. These tung-taners feature a magnetic base to keep ’em in place & right by your side. The angle reference guide on the lid helps verify you’ve ground to the perfect tungsten taper every time. The Pro Positioner may be petite, but it packs a big punch! With a horizontal capacity of 110lbs and a 200 amp rating, this tabletop welding positioner delivers professional grade, semi-automated performance to virtually any shop. But don’t take it from us. Master fabricator, Bret (aka @focusonthearc) is grateful he has the machine when it comes to turning out stubby tubes for short housings. * Pair it with a 2.5″ Chuck, 4″ Chuck, & Arm or Wrist Rest to complete your production welding arsenal. With over 70,000 members worldwide, the American Welding Society has supported and connected welding communities for 100 years. 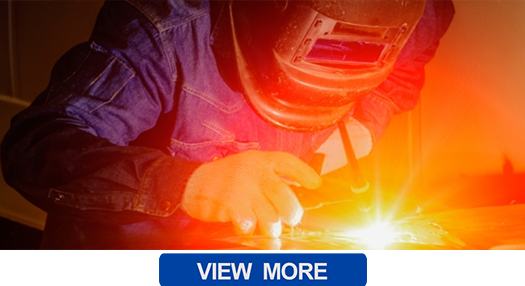 They are dedicated to advancing the science and technology of welding and constantly strive to move the industry forward. The AWS sets the standards for what the welding industry is today and we can’t wait to see what their next 100 years will bring for our community! Tradespeople are not only an integral part of the Society’s growth but they “build the structures and products on which the American economy depends,” states OH&S. These jobs are crucial to our country and yet there is a shortage of over 200,000 skilled professionals. Some people may enjoy sitting behind the same desk day in and day out, but a job in the trades opens one to many different opportunities. One day you’re digging ditches with a shovel and the next you could be repairing high purity medical gas piping. The possibilities are endless and the AWS is here to help guide you to the career of a lifetime! 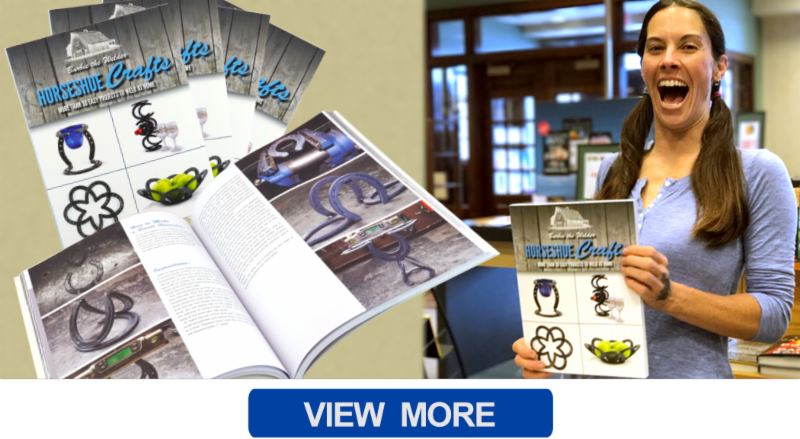 March 2019: Breath freely, Fronius hook-up, rebate reminder, SkillsUSA champion, Metallica gives back & spring cleaning! The spring season brings pollen and new air pollutants which irritate our sinuses and cause allergies. 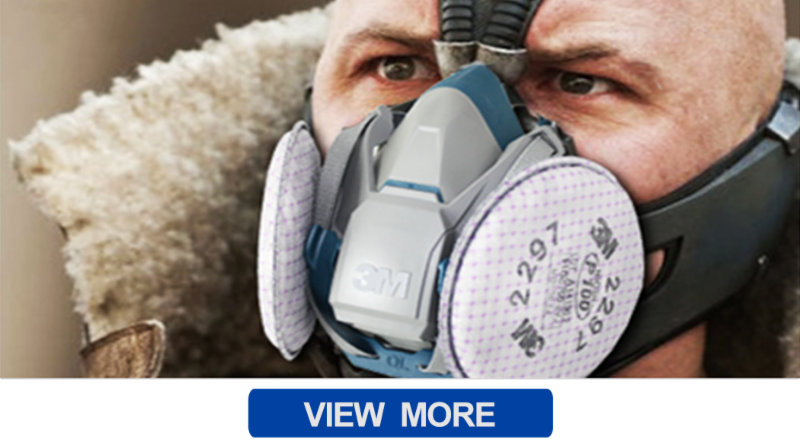 With Spring literally in the air, we wanted to remind everyone we carry a range of Half Mask Respirators to provide you with respiratory protection in harsh, dirty environments. We can’t cure your allergies, but you can protect yourself from harmful fumes and particles, while welding & grinding during allergy season & all thru the year. CK Worldwide and Fronius Welding have made it official … CK designed a SafeLoc Dinse Connector specifically for Fronius Welding machines! But wait, there’s more! 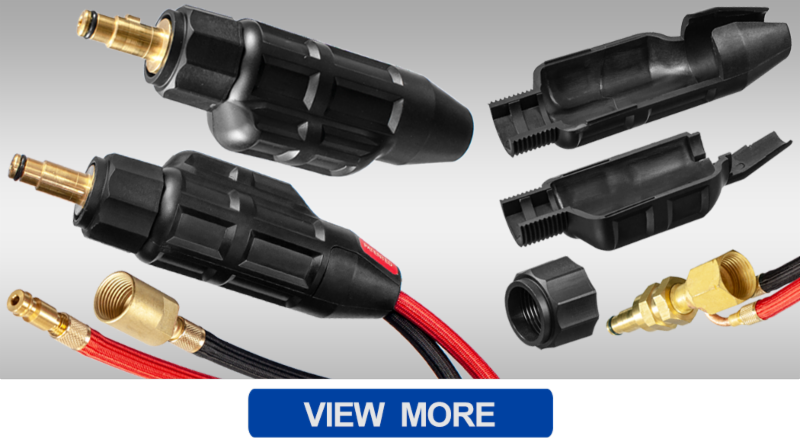 These new Fronius Dinse Connectors are part of CK’s adaptable dinse connectors. Just change a few component pieces in its modular interior and you can connect your Water or Air Cooled TIG torch to virtually any welding machine. 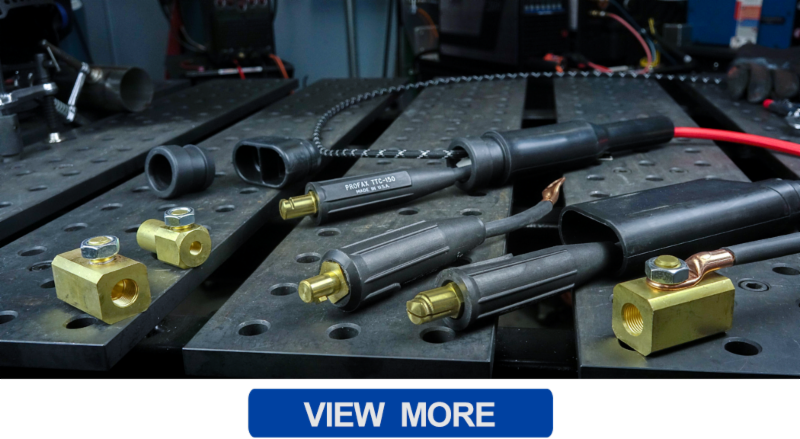 Not sure which connector, TIG torch, or interior components you need… No worries! If you can’t find it online, Arc-Zone has developed a proprietary connector guide with every identifiable connection we could find. Just call in, send us an email, or message us via live chat, and we’ll get you locked in! Meet Chandler Vincent, a former SkillsUSA champion who started his own company at just 16 years old. After Chandler was introduced to welding in high school, he says, “Welding was a challenge and something that I had to put the work into every day to improve but I knew it would be needed in society and that it was going to be a good career.” Not only did he turn welding into a career, but he took his skills all the way to the United Arab Emirates after he was named Best of Nation during the 2016 SkillsUSA championship. 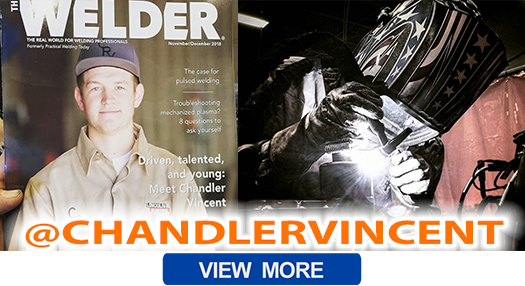 Now, on top of running CRV, Chandler trains hopefuls looking to compete in WorldSkills 2019 and advocates for the younger generation to join the trades industry by working with the American Welding Society and Lincoln Electric. To learn more, check-out Chandler’s interview on TheFabricator! The Metal band, Metallica, is putting a molten spin on giving back in support of careers in heavy metal. Through their non-profit organization, All Within My Hands, Metallica has partnered with the American Association of Community Colleges to support workforce education by donating $1 Million in Grants split among 10 colleges to fund the first-ever Metallica Scholars. Each college is using its $100k to fund initiatives that best align with their regional goals. For example, WSU Tech will use its grant to advance “Women in Manufacturing” by funding aviation sheetmetal, machining and welding for female students. If you know any-woman near Wichita, WSU is currently accepting applicants. Before you throw out all the old junk you compiled while spring cleaning, check out how this guy literally turns one man’s trash into another man’s treasure. March 2019: Prepare for the purge, make a connection, create your own luck, build your dream, and celebrate women! 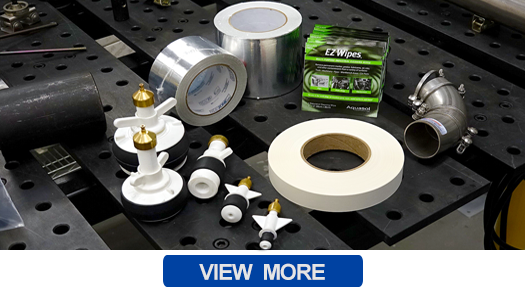 Each Tape is available in different sizes to suit your specific application. A WELDER’S RAINBOW, SAY WHAT??? Ever heard the saying, “Make your own Luck”? Luck is “made” by working hard, putting yourself out there, and using the right tools. Properly insulate your cable connections and find the Pot o’ Colorful Gold at the end of your cable. Besides, there’s no shame in welders expressing their flair too. With color-coded connectors, you can easily keep track of your stuff on the job or simply choose your favorite colors. 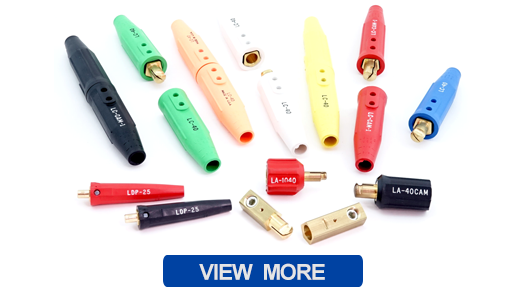 We have all the flair you need right here in every color, amperage and style. Horseshoes have been considered lucky charms since 400 BC when the Celts hung iron horseshoes above their doors to ward off evil spirits. Today, you can create your own luck with this charming craft book by Barbie The Welder! *Purchase Barbie’s Horseshoe Crafts in March, and we can include a bundle of horseshoes to get your project started. Chip Tate doesn’t just make award winning whiskey, he handcrafts every bit of the Tate & Co. Distillery. By reviving an old welding building into a distillery and welding his own stills out of copper, Tate started his company with a hammer, torch, and a dream. Through collaborations with other craftsmen (and women), his goal is to “create and foster a new environment of creative collaboration for dedicated distillers around the world.” Although we aren’t distillers, like Tate, we believe collaboration paired with a garnish of friendly competition is the best way to keep the blue collar brotherhood / sisterhood alive and thriving. As avid supporters of women in the workforce and gender equality, we applaud those companies creating a female forward environment and working to close the gender gap. Besides, there is mathematical proof that the rise of women in the workforce can significantly increase the economy. Don’t believe us?! Check out this Forbes article. 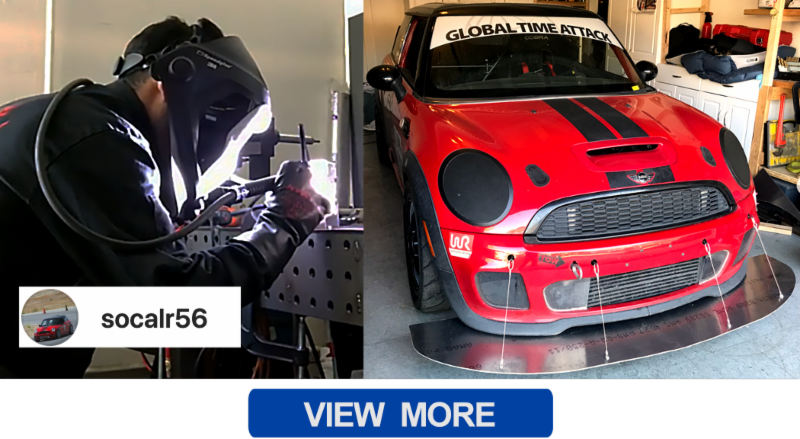 Feb 2019: Save gas, clamp & cut, earn cash back, meet a friendly welder, weld virtually, and crack up!! Seeing what you’re doing is, well kinda important in welding. It’s not like you can run your hand over a fresh bead to see if it feels good… Having clear visibility of what you’re doing, while you’re doing it is the best way to improve the quality of your work, save time, and save $$$ on gas consumption. 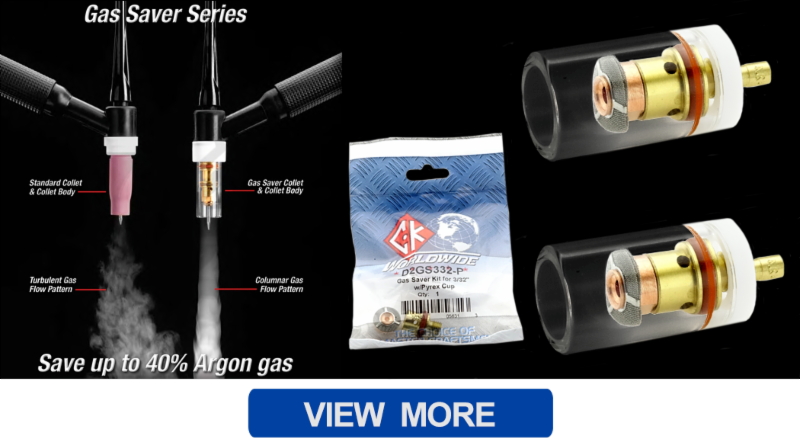 CK Worldwide’s Gas Saver Kits deliver consistent gas flow and make it easy to control your torch angle & travel speed. If you thought the Rhino Cart Mobile Fixturing Station couldn’t get any better, think again! 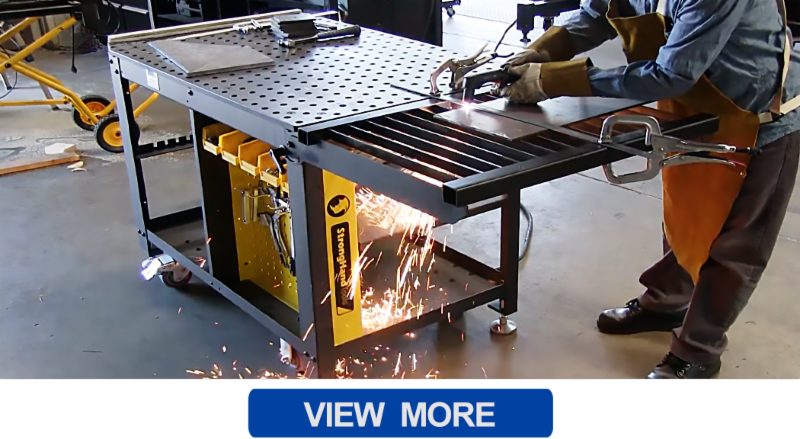 Now you can cut, clamp, and fixture on the most convenient work station with the Plasma Cutting Tray which folds flat when not in use. Make your shop space more productive with the Cart that has it all! When AJ Fernandez was just 10 years old, he learned to use a Harbor Freight MIG welder that his dad had in the garage. Because of his dad and social media influencers like Justin the Fabricator & Nate Bowman, AJ became fascinated by the idea of creating things out of nothing. He fell hard for all the creative possibilities that welding offers. He’s currently building a welding rig out of a 1st generation Dodge Ram and can’t wait to take on his next challenge, especially now that he has the Arc-Zone Monster Pro Kit to keep his TIG torch equipped with high-quality parts. (Yes, shameless plug 😉 Here’s to AJ, welders, and makers everywhere who help others & build a community. The American Welding Society & Lincoln Electric are bridging the gap between the agricultural and welding industries by teaching FFA students and local farmers how to maintain their own machinery and literally mend their fences. In honor of National Pistachio Day, let’s get crackin’ with some Wonderful Pistachios! How’s this related to welding, you say? No food production facility can operate without the help of sanitary, high purity welding professionals. Sure, farmers grow the food, but welders make sure it’s safe to eat! Feb 2019: Add another notch, heat your flow, extend your reach, find love under the hood, and deal with the freeze!!! With the freeze taking over pretty much all of North America, it’s time to think about heating things up to keep your machines running smoothly. Try a Heated Flow Meter to prevent regulator freeze up and eliminate porosity in welds. 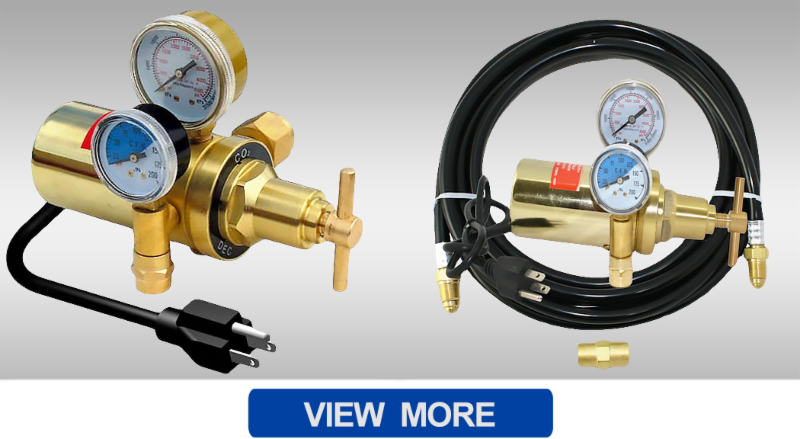 Not only will it keep you up and running, but a heated flow meter extends the life of your regulator… which saves you money in the long run. Stop dragging your machine all over the workplace and extend your TIG torch leads in a safe and easy way! The 150 and 200 Amp Dinse or Tweco/Lenco style Extension Kit features a large insulating boot with a large male short whip connector to easily connect to any length female power supply lead. 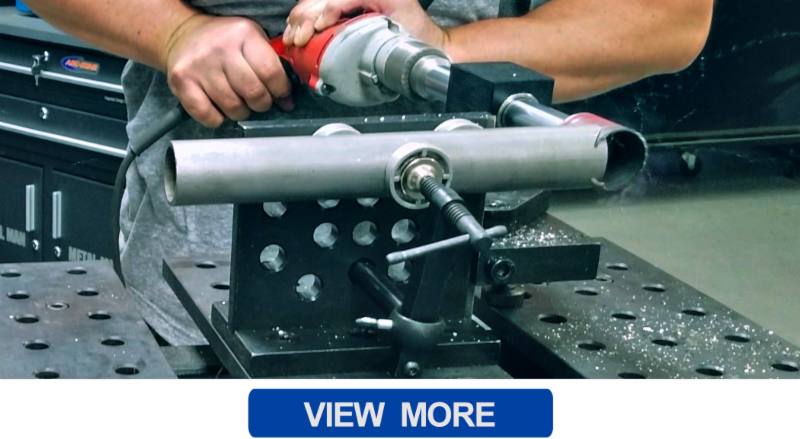 Join two pieces or create consistent notches on straight, angled, or curved tubes and pipe with the Modular Tube & Pipe Notcher. Just mount it to your welding table and notch away! This tool makes alignment and length control a breeze. 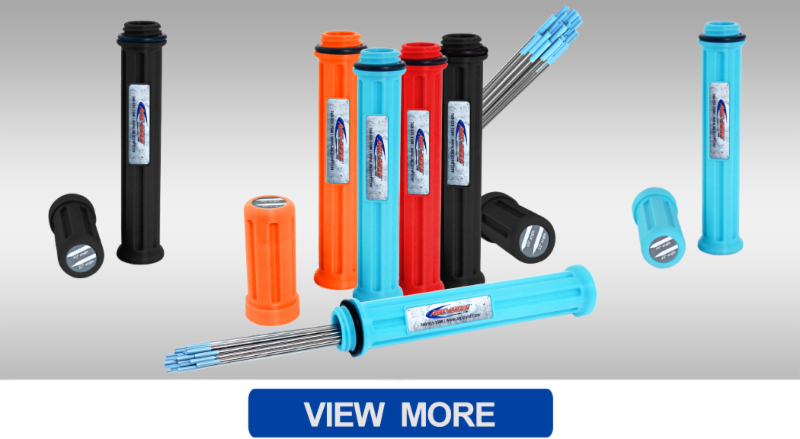 It’s perfect for building motorcycle frames, exhaust systems, custom railings, and more… in no time flat! In honor of Valentine’s Day, we present one of welding’s cutest couples, @fullpenfab & @jenthewelder . Dallas and Jen met nearly 10 years ago when Jen was searching for local welding shops on Facebook. Jen and Dallas were both welders before they met, but nothing compares to when they began welding together. With different welding skills and styles, they teach each other new techniques and motivate each other to become better each day. When’s the last time you invited your sweetheart into the shop for a lil’ one-on-one time? Whether you like it or not, robots are infiltrating traditionally blue collar industries at a rapid rate. Many of us are concerned they’ll take our jobs. Everyday, we’re challenged to stay ahead of (or even in step with) the curve of innovation. We’ve gotta look for ways to benefit from it. Besides, who’s going to fix the robots when they break down?